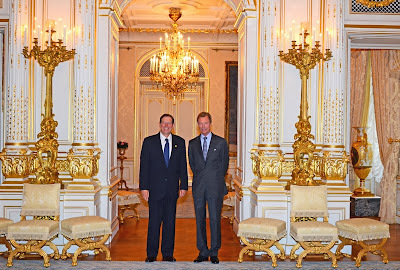 This morning, Grand Duke Henri welcomed David C. Hodge, president of the Miami University in Oxford, Ohio, at the palais for an audience. Founded in 1809, the Miami University is the 10th oldest public university in the United States of America. Mr Hodge is currently on a visit to Luxembourg to mark the 45th anniversary of the Miami University Dolibois European Center (MUDEC), an overseas campus of the university located in Differdange in the south-west of the Grand Duchy. Named after Luxembourgish-born graduate of Miami University and later United States ambassador to the Grand Duchy John E. Dolibois, the European branch of the university offers up to 130 students the possibility to live in and explore Luxembourg while they live with host families and continue to study under Miami professors. 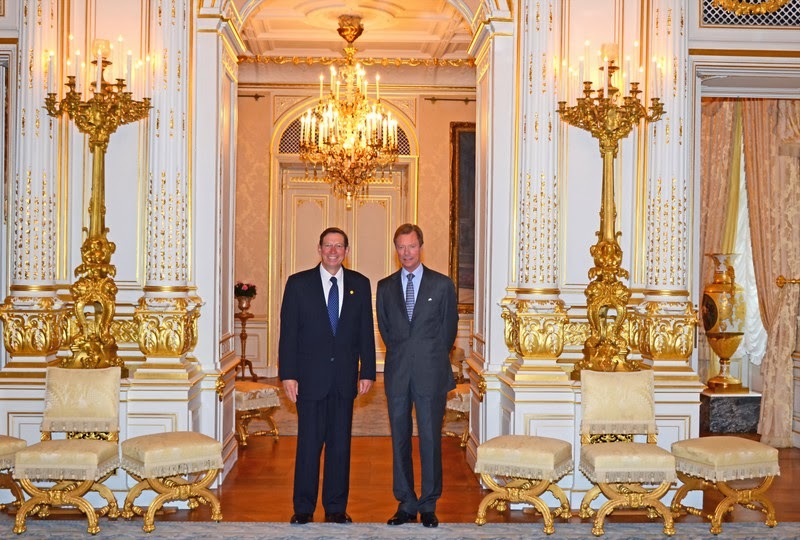 A few years ago, Grand Duke Henri received a honorary doctor's degree of law by Miami University.